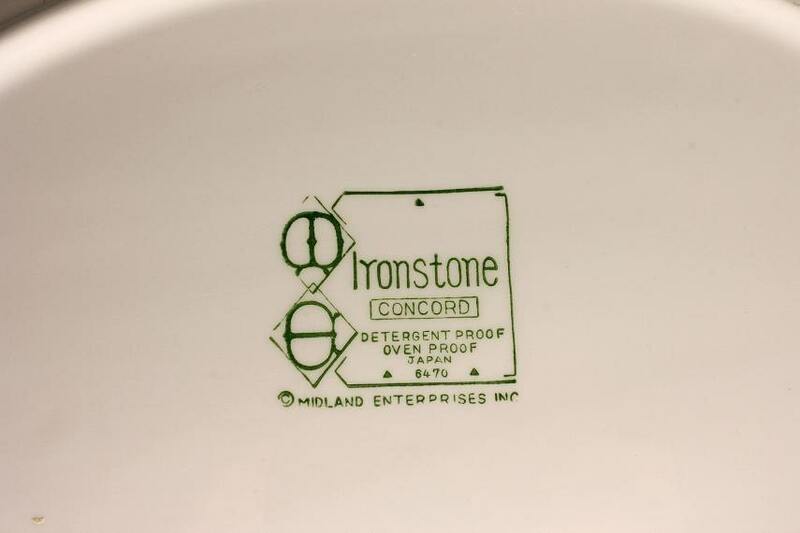 This is a gorgeous Ironstone Platter by Midland Enterprises Inc. 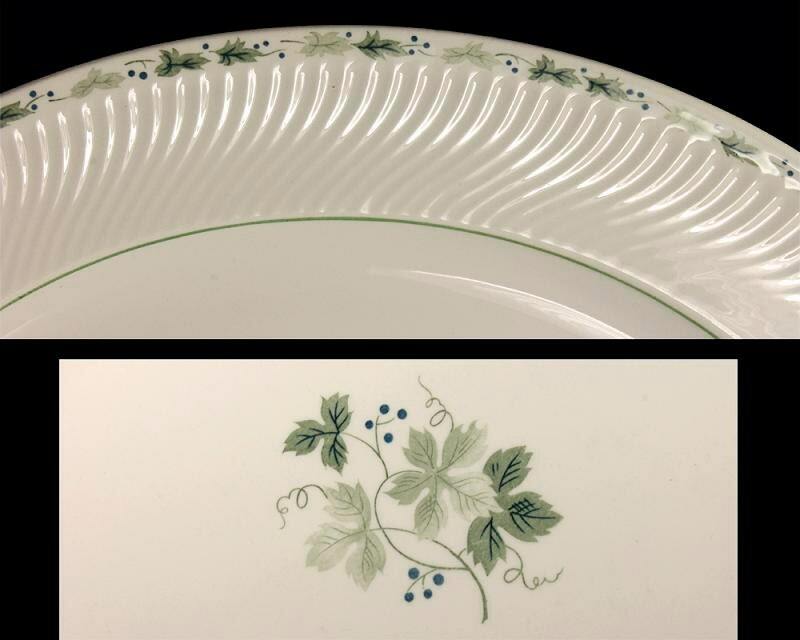 The pattern is called Concord and it is a grape vine with small blue grapes. The edge is scalloped and with the same pattern around the rim. This will make a grand statement on any dining table, sideboard, or buffet table. 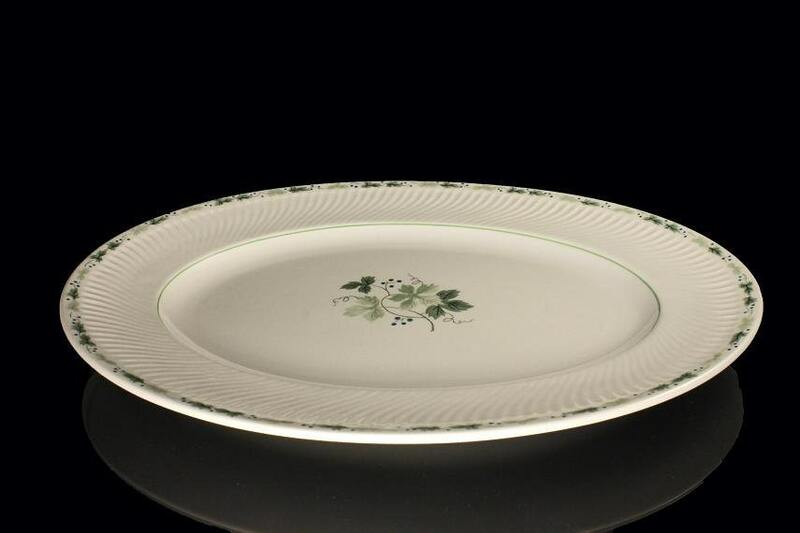 An elegant and versatile platter perfect for entertaining. 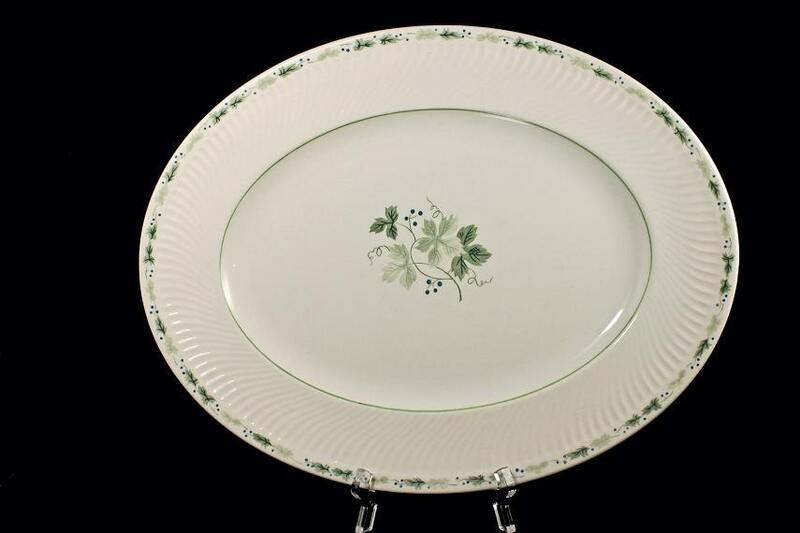 This lovely platter would make a great wedding shower, wedding, hostess, or housewarming gift. Treat yourself and entertain in style. 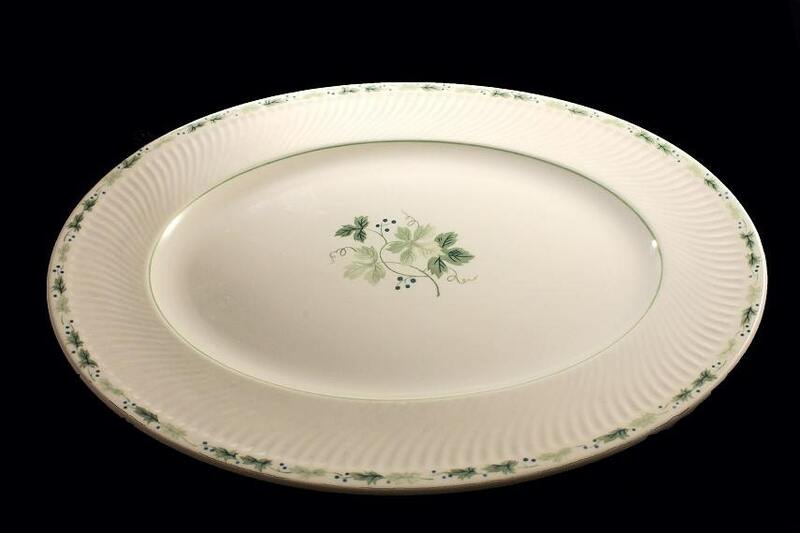 This vintage platter is in great condition. There are no chips, cracks, mars, or crazing. This platter shows very little signs of use.